Of course, sometimes when you say yes to everything that might end up being fun, you also could end up sleeping on the ground in a tent, freezing fully dressed in a sleeping bag under two blankets, wanting to murder every crow ever invented and maybe also the sun. Having been camping twice now, I think I can say it is not the lifestyle for me. I never understood the point of camping in Florida, where everything wants to eat you, and I don't really understand it here where hypothermia sets in after dark. I like nature best when I can go to a place with walls after experiencing it. It seems like it would be really easy to be murdered through a tent wall. I mean, even easier than it is to be murdered all the rest of the time. It's lucky, then, that it's pretty impossible to be miserable and awake when things are this beautiful and people are that funny. 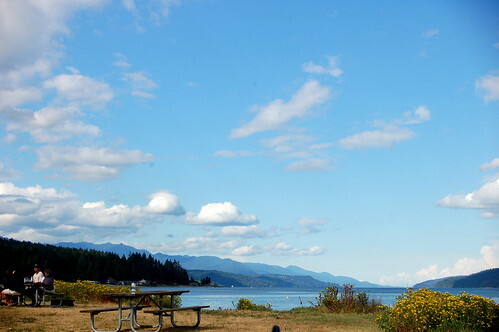 I'd never spent any time on Hood Canal before, and though it wasn't clam digging time there were a lot of tiny crabs to look at and rocks to throw and sausages to eat. When the tide came in the water was warm enough for wading, which was a nice surprise. While I would prefer to never ever have to sleep in a tent again, camping at Potlatch was definitely a mighty pretty way to kick off my birthday week. In Thailand a few hundred years ago someone made a giant Buddha out of gold. It's a good 10 feet tall and, as one might expect from something made out of solid gold, mighty heavy. When the Burmese invaded Thailand in the 1700's someone covered the statue in plaster and moved it to a shed outside a minor temple, at which point everyone forgot that it was there. All of that gold made into all of that statue, hiding in plain sight. One day in the 1950's the monks in the temple tried to move it and dropped it in the mud, a bad omen that scared everyone away from the site, one that was only reinforced by the flooding storms that showed up shortly after. The next morning someone came creeping back in and noticed the cracks in the plaster and the real statue shining through from underneath. Which must have thrown a major wrench in the whole idea of the accident being bad luck, because if they hadn't dropped it this whole big treasure would have remained hidden and forgotten indefinitely, just this ugly heavy statue that no one was really sure what to do with. Which, obviously, makes me wonder what else we're missing. Having a policy of saying yes to just about any adventure that comes up means that some nights you find yourself on the deck of a converted fishing trawler, floating around Lake Union while a small orchestra plays something based on Little Red Riding Hood. Even though it's August and supposed to be summer it started to rain, but the universe had a reason for that, too. Because outside was nice enough, but if it had stayed clear I would never have ended up snugged down in the living space in the boat, a stranger on a bean bag propped against my shins and a cute guy playing a pedal steel over by the fireplace. And it means that an afternoon learning about canning in a living room might just end up as a pizza party in a hotel penthouse, fuzzy with wine, an infant on the floor grinning and licking my hand like a cat, warm and funny and bigger than he was a week ago. It's probably for the best that I never could have imagined living this life, because it's so much better as a surprise. The best thing about space is that, no matter how many stories we try to bracket it with, it's always going to be indifferent to us. Space is always going to be the biggest and the farthest. We're spoiled by fancy digital things and telescopes up in space that make us think that it's close and explainable, but that's really mostly a lie. The way to the telescope is up a creaky winding wooden staircase. The telescope itself has been there for over 100 years, which is obviously the part I like best--how so many people for so long have looked at that sky. And how some parts of that sky are the same and some are different, and either way whatever is happening inside our eyes happened first in space long before. 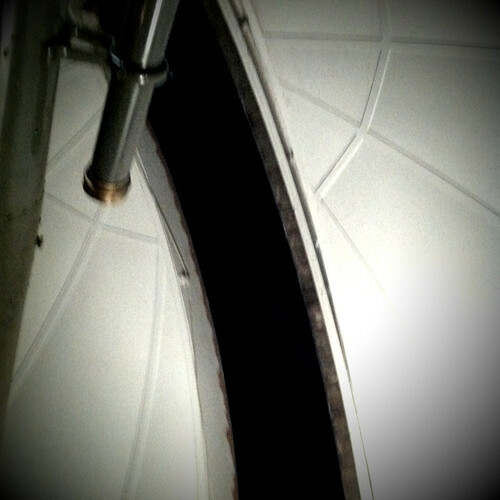 Through the telescope there was a star, faint and fuzzy and farther away that I can even fathom. As the sky darkened we went to the parking lot to look through newer telescopes at the moon, bright and clear, so close we could almost touch it. Near the observatory we were given glasses and taught about how to tell an element by its spectrum, and that's when I learned that everything just might be made of rainbows. As though there was any doubt. If cryptozoology has taught us anything, it's that everyone else's imagination could turn out to have been making up something true. The screaming bird who shrieks in the nights in Sri Lanka turned out to be a very shy owl, and the oarfish was what turned out to be scaring sailors, creeping ribbon-like and sinister just under the surface of the water. Animals with two heads that hopped like frogs in the end were only kangaroos, and the only thing left related to a giraffe looks like a giraffe in the front and a zebra in the back. What we imagine is there turns out to be true just as often as it's not. The other thing cryptozoology has taught us is that what is inside our head is generally significantly worse than anything nature can cook up. (With the exception of the honey badger. Those guys are legitimately pretty scary, although I am a fan of the African myth about how the honey badger and the pangolin each came to be, because pangolins are my favorite.) Which makes sense, in a way--if you're expecting the screaming in the woods to be an omen of impending doom, it would be a pretty big relief when it turns out to be only an owl with an unfortunate laugh. Cryptozoologically speaking, Bigfoot probably doesn't understand why you keep refusing to go to the movies with him, and the Loch Ness Monster could really use some help keeping her floaties inflated. The funny part is, I don't remember ever going fishing with my granddad. I remember fishing with my nana, half the family draped listlessly around a dock accidentally catching blue crabs and flip flops. And I remember going scalloping with my aunt and uncle and cousins, pointing out the scallops from the safety of my little boat tied to the side of the bigger one while my cousins dove for them. It's hard to tell what the dates of these maps might be. On them, the Courtney Campbell Causeway is still called the Davis Causeway, which suggests that they're from sometime between when the bridge was built in 1934 and when it was renamed in 1948. One of them has the Gandy Bridge, which was opened in 1924, and it looks like it only has the one span, which was on its own until 1956. None of them have the Howard Frankland, which opened in 1959. 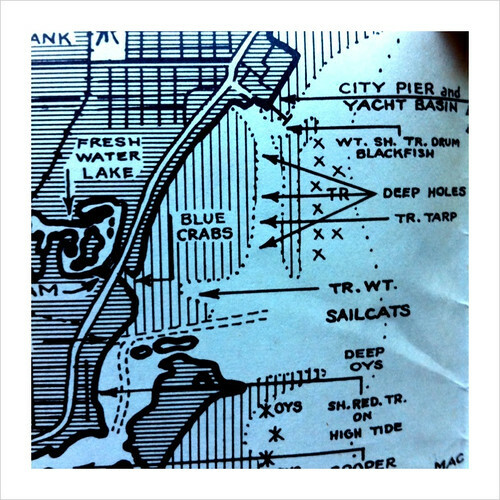 So maybe the maps of Old Tampa Bay are from somewhere between 1934 and 1948. (The maps of Crystal River and the Withlacoochee and other places inland and up are even harder to figure out.) But if you're making maps for fishermen, they don't much care what the bridges are called, just that they're there. So they might have kept printing them until at least 1956, and maybe as a novelty after. My granddad was born around 1935, so if they're from the early end of the spectrum they almost certainly didn't originally belong to him. It's all something of a mystery. Ultimately, of course, the when of them doesn't matter. That they were his is the important part, and that they show a side of where we're from that was gone by the time I was there. 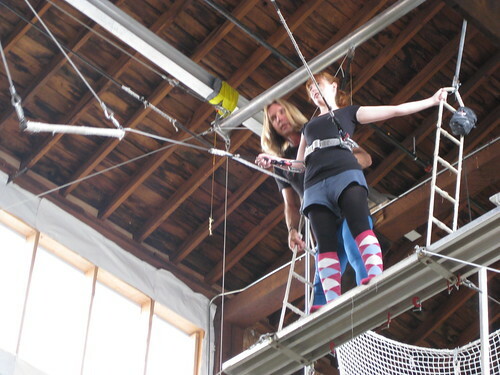 Aside from being the scariest thing you can do while fully clothed and hooked into a harness, trapezing puts some serious strain on one's laughing muscles and one's reaching muscles. I didn't even realize that there were muscles on my ribcage and in my armpits, but I sure am aware of it now. I use my laughing and my reaching muscles a lot. These are also the muscles involved with getting out of bed, as though that isn't an excruciating enough experience already. 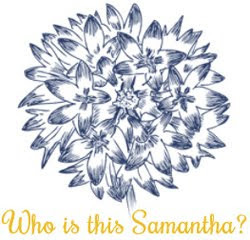 As of last night I have finished my journey through nonprofit law, which turned out to be a subject that ate up a lot of my life and made me very, very glad that I decided against going to law school. This means that there are six whole weeks before I have to pick my double life back up again. If going to grad school has done anything, it has made me very thankful for the weeks when all I have to do is work full time. I have a lot of park sitting and bbqing and dance partying to catch up on. We finally made good on the plan to take a trapeze class, which was a life list goal. When we got there, they ran us through the plan--you climb up to the platform, lean out, grab the bar, and jump off. In the air, you take advantage of the tops of your swings to hook your knees over the bar, take them off, and backflip off down to the net. Nothing to it. About halfway up the ladder, I realized that there was something significantly wrong. I made it to the platform, got myself all hooked in, turned to face the bar, and sure enough, something was wrong. I was a zillion feet in the air and about to lean out into space and then swing from a goddamn trapeze. This was all against the laws of physics and good common sense. The instructor could tell that I was panicking. (It was probably the sweating and trembling and refusing to move that tipped him off, not to mention the mewling in despair and begging to be let down.) Another instructor climbed up, and between them they tried to coax me into grabbing the bar with just one hand. I could almost do that, but letting go with the other was beyond me. I have never been so scared in my life. I eventually hopped off the platform and swung in the air a few times, and I would be lying if I told you that there was a rush of exhilaration then that made all of the rigmarole on the platform worth it. But I wasn't about to be defeated by space and physics and abject terror, so after a while I made my way back up the ladder. At the top I promised to leave the ladder in under 10 minutes this time around, and he said, "Well, at least you're up here, instead of at home on the couch, dying slowly." Sure, I thought, better to fall off the circus contraptions and break my neck and die all at once. Although I never did get my legs up and over the bar--I don't actually have any muscles anywhere, so I lack the strength required to move even my weightless body--I did manage, by the fifth try, to backflip off the trapeze. On the way out, the instructor congratulated me on doing a good job. I laughed at that, because he had after all been up there with me. But he hugged me and said, "Hey, you got back up there. Most people don't." Still, if I run away to join the circus, I think I'll stick with lion taming. I like the way we translate and re-maneuver, noting that the ice in this iceberg if melted could run the Nile for so many years, that the sand over here could fill this many Grand Canyons, that this many marmots standing on each others shoulders could go to the moon and back so many times. How everything could fit into everything else in unexpected ways, just to make sure we understand size and scale and monumental importance. I like remembering the feeling in the Naples underground, threading through dark tunnels and caverns, cold and strewn with years and years of debris, and finding a tiny greenhouse growing plants with spotlights and the air's own humidity. Finding all of the forgotten places and growing new things in them. This weekend our light turned hazy and red, making all of our movements slow and dreamy and soft. Fires from somewhere else staining our skies. I walked home, stepping carefully along sidewalks thick and slippery with fallen fruit. Plums, maybe, staining the sidewalks purple, warm to the touch and then staining fingertips. Everything just a little bit less than real. Last night we would have seen the Northern Lights, if they had only leaned down a tiny bit further. Maybe it doesn't surprise you, how often I think of Saturn, sitting surrounded by rings of ice, and how for so long we thought the rings were few in number but large. And how now we know that there are thousands, maybe, smaller, shaped and carved and pulled around by tiny moons, moons that we only recently had eyes to see but moons that have maybe been there longer than we have been here. And we'll keep sending stronger eyes into space and sharpening what it's possible to know about what there is, but also reminding ourselves of everything that we didn't know we were overlooking. It takes a while to consider all of that when we are stuck down here with hearts of crystal, strapped to dynamite and mistaking the blinking of our detonators for heartbeats. I think sometimes that the force of our explosions might propel our hearts into space, that what is ringing Saturn is really each of us, cold and hard and tugged at by moons we've never even seen.